It's been quite some time since I last updated. I'm not really good about updating frequently, but this time I had an excuse--we were traveling for the past two weeks. We went to visit my family in CA, and hubby had work to do in CA too. It was a long, but good trip. No more traveling for a while since #3 is coming soon (in 5 weeks!!). I used my Silhouette Cameo (which I love!!) to make the "cover page". For more about these pages, see this post. The only changes I made from the previous post are the flowers which are brads, the sun and clouds, and the buttons for the door handles. 2) Then she picks her apples & strawberries. 3) Then "cuts" her veggies & fruit. See below for more details on these pages. 4) She then makes a pie with her ingredients. 5) And she can also "make" cupcakes. This cupcake page is also educational because she has to match the number of sprinkles with the number on the cupcake liners. More details below. Here are the details for the last few pages of the book. Cutting board: velcro strips to hold the fruit & veggie pieces. This is the only fabric I had that had apples on it. Is it kinda gross that she is baking elephants? Again my Silhouette Cameo came in handy. I used puffy paint for the numbers. For the cupcake liners I used stiff glittery felt. No more activity books for a while. I definitely need a break. :) Happy Crafting! This book looks like so much fun :) What a wonderful gift - I ran a search on amazon for a cloth book for my little one...but yours is much more awesome! I wish I could say that will happen sometime soon, but I doubt it with baby #3 coming in a month. ;) Thanks!! 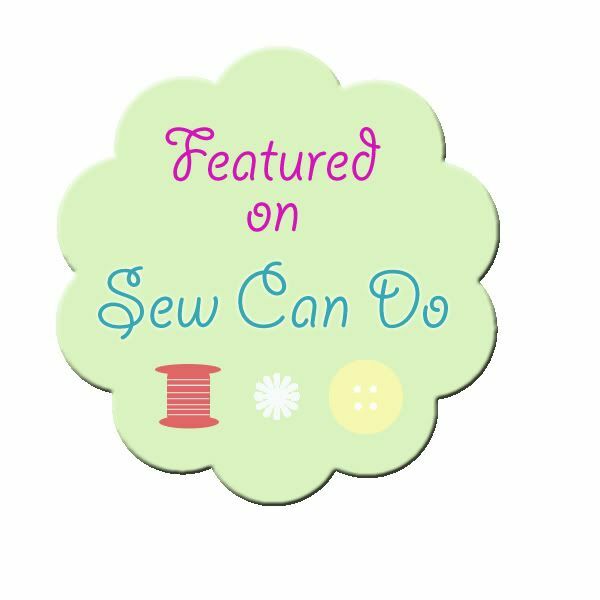 I've been looking around your blog and you have some amazing projects here! Your quiet books are gorgeous!!! I've made some myself and know how time consuming they can be but yours looks store bought and so much fun. 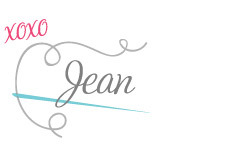 I'm seriously impressed at the cute pages you've created and how professional they are. Thanks so much for sharing your inspiration! This is amazing--wow! It's so beautiful! This is such a darling busybook. I am going to pin it with the hope of getting enough creative time to make it. Thanks for sharing!! O my goodness. You are the most creative mom ever!!! This is the coolest thing I've ever seen! This is great! Any chance you'll post a pattern? I'd love to make one for my daughter, but I doubt I can get it to look as good as yours! Found you on pinterest, and definitely pinned it. :) It is sooo darling, you did an excellent job! It's the best quiet book I've seen yet! I cant wait to see your quiet/busy book for your baby boy!! Very interested in that one (since I have a too-quickly growing baby boy!). You are so very talented!! So creative!! I cant wait to learn to sew to make some of your tutorials for him! Thank you for being so kind and sharing with us! This is so adorable! :) And it looks do-able! Thanks for sharing!!! si vous souhaitez le commercialiser à petite ou grande échelle de distrubution, Cha'gribouille sera ravi de l'accueillir sur sa boutique en ligne de cadeau pour enfant ! She wanted to know if you wanted to commercialize it....her website can help so it can be a gift for other kids too. Along that line anyway. A beautiful book--stumbled onto it via Pinterest. I wish I could sew that well! What are the little metal pieces you used for the holes. I have made a few pages for my lil ones quiet book but don't know how to piece it together. Those look easier than what I've been seeing and sturdy. this book is adorable! And now you have 3 kids and I don't know how you found the time to do this with 2! my kids are 3 1/2, 2 and 4 months old. I have just about zero time to myself. Not sure if you have an etsy shop but you should sell this! Found you via Pinterest. What a LOVELY book! It's so well made and neat and tidy. Thank you for sharing it and inspiring me! How old is the niece you gave this amazing book to? I'd love to make it or something like it...but want to make sure I hit at the right age. Amazing! Love it! I'm adding this to my list of projects to do, thanks for the inspiration! What size did you make the book? Thank you! The book is 8"x10". omg..can I buy one for my baby girl..I absolutely love it!! Great job! Thanks for sharing!!! Wow. Seriously wow. Such darling ideas! And they look so amazing! I have a sewing machine and I'm quite clever, but crafty? I am not. I truly have respect for those who are. I would LOVE LOVE LOVE LOVE LOVE to buy your quiet books. Truly. I will of course pin this on pinterest, but know that I will never be able to do it. Would you consider selling? Pretty please??? You know, with all that time on your hands with your little ones running around!! :) (I have 4 - I know how it is!) Please let me know if you ever want to sell! I love your quiet book. I just ordered a silhouette and my first project is going to be to make quiet books for my 2 flower girls as their gift for being in my wedding. I would like to know were you got the cupcake pattern? Did you use your silhouette or were they hand drawn? Can't wait to get started on my own. Thank You! SO cute! Any chance you have templates you'd share?! I love the cupcakes. how do u make a quite book? Just gorgeous !!! thanks for sharing ! Did you use a template for the cutting page? Love this! So you said you used your Silhouette for some of the pages, but I was wondering what kind of material you used with it? (If that makes sense!) It looks like vinyl, but I don't know how you would get that to stick to felt... Anyways, it looks very professional and I would love to use my Cameo as well, but am not sure what you used to achieve this look. Thanks! Hi, i'm from germany an i found your activity book. It is so beautiful - i like it a lot.. i wondered what kind of material you used for it.. did you just use felt or also some sort of fleece/non woven material.. i wondered mostly about the light blue background material you used.. it seems to be so soft.. This is absolutely beautiful! I'm currently working on a quiet book for my toddler. I love the pie weaving idea. I may include that in my book! Thanks for the inspiration! Hi there- I am making my own version of this page for a quiet book, and I wanted to know if you glued the beads to the cupcake tops or hand sewed them on? Thanks! Hi! 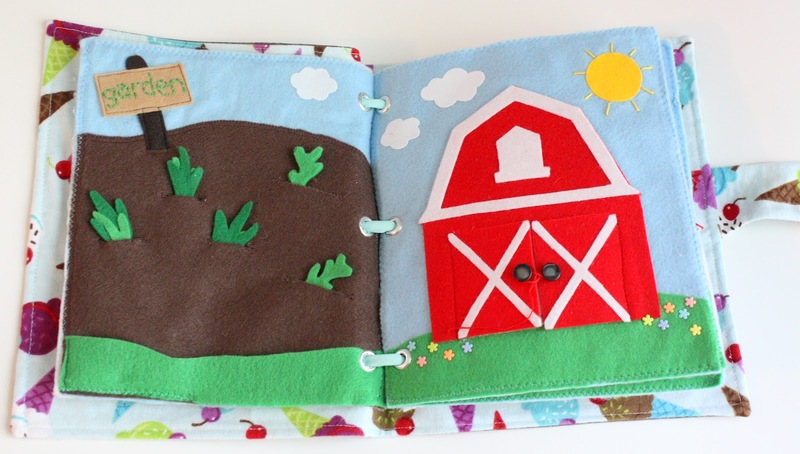 I am making a busy book for my nephew and have a quick question: I noticed that the little deer looks like felt that's printed; did you buy printed felt and cut it out or do you have a way that you're printing on the felt yourself? It's such a professional look that I'd love to do it in my own busy book. Thanks! What a fantastic quiet book. I am making one for my Grandson and a dress up doll one for my Granddaughter. I love some of your ideas and the book looks very well thought out. Thanks for putting the pictures up as they are inspiring. Will be making one for my grandchildren. I have noticed that some books use velcro, some magnets, and some do not look like they use anything. So my question is this,if you do not use magnets or velcro, does the felt stick to the felt without anything else to hold it? Hi! It will stick, but almost all the pieces I used either velcro or a snap. Thanks for stopping by! Hi. 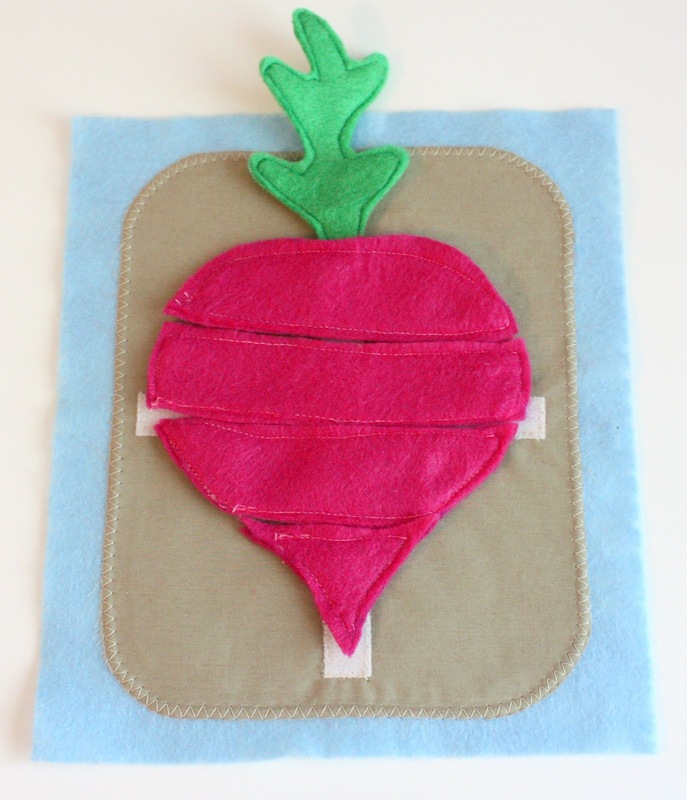 I plan on recreating your “cutting board with fruits and veggies” and I was wondering if you used two pieces of felt sewn together for each fruit/veggie? This will help me sooo much as I begin tackling this project!